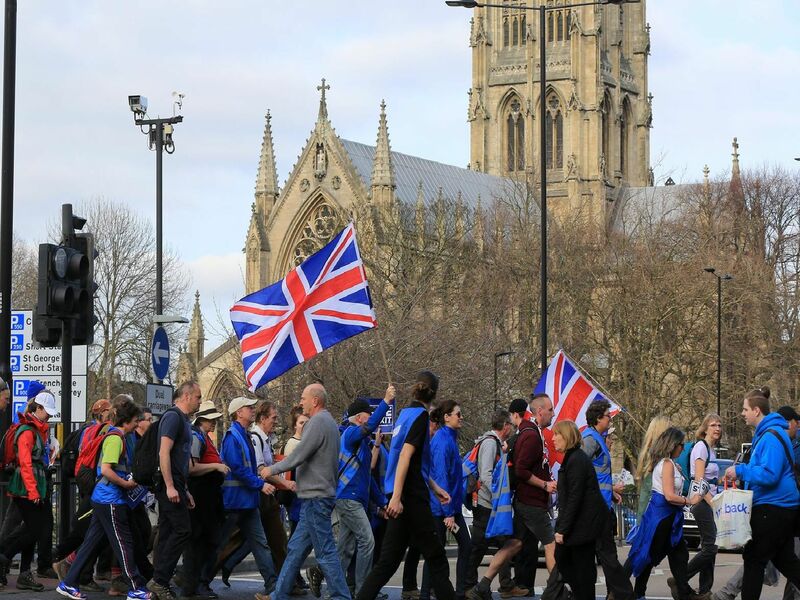 Hundreds of pro-Brexit protesters marched through Doncaster town centre yesterday demanding Brexit as part of a 270-mile long nationwide demonstration. Nigel Farage's Leave Means Leave march arrived in Doncaster Market Place - with hundreds of flag-waving and placard protesters in attendance as the noisy and colourful parade snaked through the town. The Leave Means Leave march makes a noisy entrance to Doncaster - although march organiser Nigel Farage did not appear. The message was loud and clear as several hundred demonstrators came to town.